NCT is my connection to the OC. A trip to visit her always involves lunch at some awesome little hole in the wall or a joint with a real cult following. This time was no exception! I was totally craving some seafood so she suggested The Boiling Crab. There were quite a few patrons all with their sleeves rolled up and shamelessly wearing tacky plastic bibs. All around me I saw customers loudly sucking away at crevices of crawfish shells and conversing happily over the blaring speakers spewing out some local radio station... it was quite a site. We were seated at a table close to the front, handed some modest small plastic menus, a large roll of paper towels and those lovely plastic bibs everybody else was sporting. I glanced over the menu but since this is NCT's regular haunt, I let her take over the ordering. Cajun Fries: I noticed this side on quite a few tables and NCT said she always orders a side of these when she comes. I can see why. 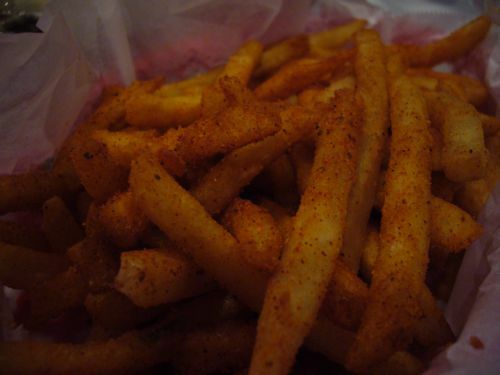 Theses fries were perfectly fried and seasoned with savory spicy Cajun seasoning. I'm constantly on the quest to find great fries and its always a treat to find something more than satisfying. 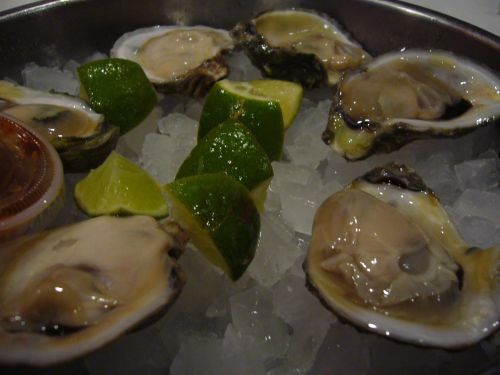 Raw Oysters: NCT isn't such a big fan of the consistency of raw oysters so I had these babies to myself. They were quite fresh though not as sweet and meaty as the ones I've had at Blue Water Seafood. Crawfish: The waiter came by with a giant metal pail and pulled out a large plastic bag filled with these steaming critters along with two small ears of corn and sausages all tossed in "the whole sha-bang" seasoning". I understood why there was a sheet of butcher paper over the table very quickly. Indulging in these crustaceans requires a bit of work and can be quite messy for so small a harvest. NCT says she often brings a bag of these to her mom's and they'll gorge but I honestly think it'd be way too messy to eat at home and would rather eat it out where the cleanup is taken care of by somebody else. The website www.rawoysteralert.com has a wealth of information available and also explains how you can help in making the consumption of oysters safe for everyone. I've been meaning to get over to Boiling Crab for a while. Do they give you enough crawfish to satisfy a big guy like me? Oh do those dishes look good. 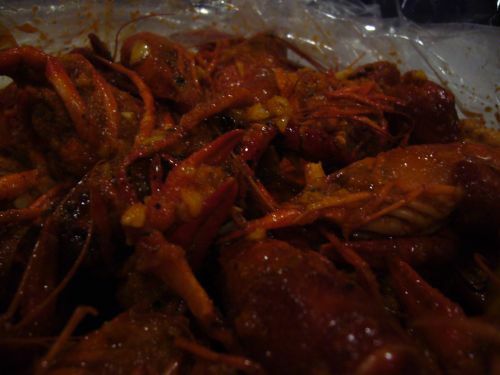 Now I'm craving crawfish. Thanks for the info. Kinda scary to think that a small tasty oyster could really do some damage. I'm getting hungry myself just reading these comments. I want some crawfish too!!! I think you have a really good blog, There are some really interesting articles featured by our expert on the Garden-grove expert page. You may find them interesting as well. i didn't like that place at all. Yummy. I love this place too. The clams & crawfish are my favs.